Wedding makeup is one of the topics I get asked about the most. It would seem very easy to achieve, as it is simple, soft and mostly neutral but in reality a “clean” bridal look can be a tough cookie to crack. Since one of my fall brides was kind enough to give me some great photos from her day, I wanted to share some of my wisdom and product suggestions. My approach to makeup is light handed. If you follow my work, I am an artist who loves soft lines, little or no contour, dislike Instagram brows, and skin that feels and looks like skin is a must on all my clients. Brides who book me tend to be ones who are not “makeup” girls and women who like my natural/ radiant skin approach. I will often make pre-wedding day game plan suggestions, facials with skincare and good habits to get your face photo ready. Lisa, the bride in these awesome photos, did not schedule a trial with me, she was very comfortable with my portfolio and we met on the day of her wedding in Montauk, NY, also known as the Hamptons. Bridal makeup is about the prep. If it is a warm day, like summertime or destination wedding somewhere humid and hot, I’ll use an oil free primer in the T-zone area, my favorites are Laura Mercier Oil Free and Smashbox Oil Free primer. I don’t use primer all over the face unless I deem it necessary or the client is someone with very oily skin. A good professional foundation will not oxidize and run unless the bride decides to do a bootcamp class during the reception [this never happens] or she really has very sensitive or problem skin, when the latter is the case I always make sure we meet for a trial run. Performers have the same principle, they sing, dance and do a lot of movement and their makeup stays on because it is prepped, layered and sealed with good professional products. For my client Lisa in Montauk, I used mostly moisturizer and a tiny amount of primer (her skin is normal and the weather was dry/ cool). What was on her skin? Embryolisse Lait Creme. There is an oil free version called Embryolisse Hydra Mat which is what I grab when the client is oily and the weather is warm, I never not moisturize my client’s skin. In some cases, I will prep brides with Glam Glow Brightmud Eye Treatment, this is for dark circles and puffiness around the eyes, it works amazingly. Lisa though, was a dream client, she got plenty of rest the night before and took good care of her skin so her prep was mostly focused on hydration. Moreover, her instructions were clear, she wanted to look as natural as possible. I worked on her sister and mother as well,took care of Lisa as she wanted to go last. **To seal all my bridal makeup application, I use Skindinavia Makeup Setting spray. Lisa had lash extensions, I did not need mascara for her. One type of product that I always gravitate towards for brides is cream products, I find this lasts through sweat and photographs well. I use powder very sparingly and depending on the occasion. My kit staples for powders are Viseart shadows and Charlotte Tilbury Filmstar bronzer and Senna Brow Powders all which I find professional grade quality, the rest is cream products all around. My top three foundations for brides are Face Atelier Ultra Pro, Make Up Forever HD and Kevyn Aucoin Skin Enhancer. I tend to use Face Atelier and MUFE mostly because they look and feel light on most clients. When I need full coverage and very strong concealing, Kevyn Aucoin Skin Enhancer is the foundation I like to use because I can custom create the color. **I have about 9 of the colors ranging from lightest to darkest and in between. I should mention that Kevyn Aucoin Skin Enhancer is a product that has to be mixed with another medium, it is not meant to be used alone. Again, this really depends on the client and their skin but the finish is really amazing, sometimes I will use it to conceal only. Lastly, I can’t begin to tell you how much I love bridal makeup. The final moment a bride is ready to marry the love of her life is the ultimate reason why I am passionate about it. This Montauk wedding in particular was even more fun because I got to do it with one of my friends and colleagues Gloria Espinoza, she is an amazing hairstylist here in New York. Photos courtesy of Cly By Matthew, Gloria and Lisa. I absolutely adore the Charlotte Tilbury Bronze and Glow palette! The highlight in it is the best I’ve tried! Your work is beautiful! What a beautiful bride and mom! I love your style! I love your work, Norah! I am a fellow skincare-obsessed neutral-loving girl, and probably your perfect client 🙂 Or rather, you’d be my perfect MUA! Such a great post with so many tips and product suggestions! I can’t even begin to tell you how much I love most of the products that you MENTIONED and others , i need to pick up asap! It’s always great having a makeup artist share their tips!! Thank you for this post! So awesome to see you in action! The bride looks stunning. Very enjoyable read. I remember seeing this bride with her husband in your IG photos. She certainly is beautiful! Interesting to read about your professional tips for bridal makeup. 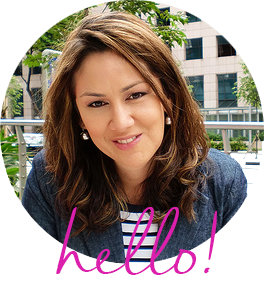 I have learned a lot and gotten turned on to so many products from reading your blog, Norah! Her look is perfect. My daughter-in-law had that same natural look that was her but better. The wedding pictures are memories you shouldn’t be embarrassed about 10 years later. Wonderful job Norah and great advice. You are so talented. love seeing your work! I liKe your approach in makeup, clean and classic. Great tips. Your bride was beautiful! I love your work precisely for those reasons in the second paragraph! Ugh @Instagram brows. I need to try the Embryolisse Hydra Mat. I’ve heard amazing things about the Lait Creme but worry about grease and breakouts on my oily skin. Gorgeous bridal makeup, thank you for sharing your tips! My brother is getting married in May and we’re trying to figure out what to do about the brides make up to keep costs down. Thanks for the tips! I love how all your clients just look effortlessly beautiful. Like they just woke up that way! It’s so true that good makeup and tools only get you so far – there’s magic in those MUA hands!